Sampratishta School Of Fine Arts & Design, established by Coloring India Foundation, focuses on the foundation of fine arts and design. We provide an illuminating look into fine arts education at a global level. Being one of the best fine arts colleges in Bangalore, Sampratishta incorporates the best practices that prepare students to innovate and cooperate everywhere. 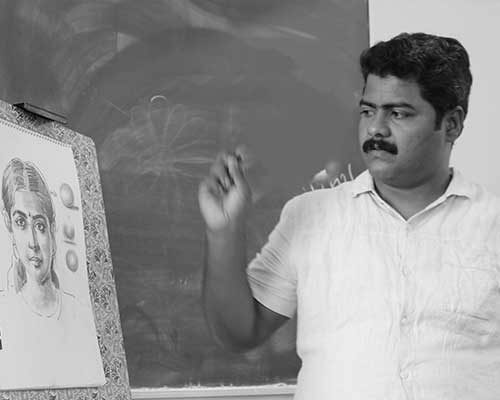 In fact, we are the first institution to initiate diploma courses in visual arts around Bangalore, Karnataka. 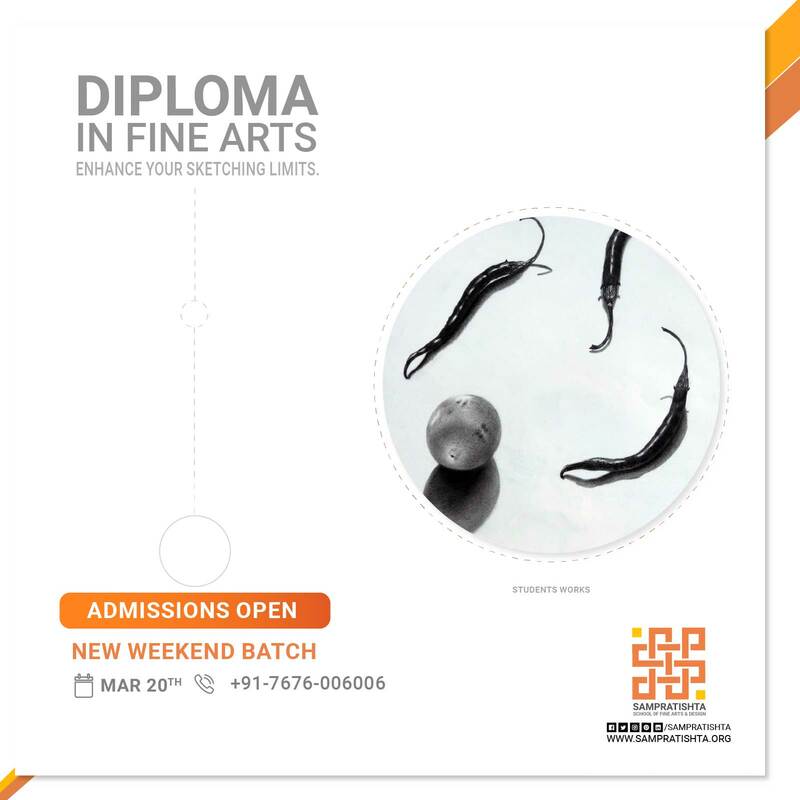 The courses are pertinent for aspiring art enthusiasts & for those who aim to walk a creative path. We nurture passion, curiosity and dreams. Sampratishta School Of Fine Arts & Design provides short-term diploma courses with two modules in visual arts. The courses are similar to any full-fledged two years diploma course in fine arts. Every step of the way roots down to basic technicalities. Thus, we believe in curating a rock-solid foundation. Introduction to the fundamentals of Fine Arts will pave the way for your successful completion of other Fine Arts related courses. In fact, it will make you a better artist, an illustrator, architect or a designer. Besides, we liberate you to learn right from the scratch. Our greatest achievement bestows in improving your skills and results. We believe that the secret to success is a robust structure. Sampratishta School Of Fine Arts & Design is for those who have serious decisions to make with fine arts. Sampratishta offers individual attention in small classroom settings where we encourage students to develop original identities. The classes are amidst nature and inspiring portraits. Besides, nature conveys an impression of truth. The time in class unbars your visual imagination skills. Also, you will learn how to construct complex forms with different mediums. We follow a curriculum that consolidates step by step approach. In fact, there are different criteria for joining the courses. Please view the course details. Being a part of Sampratishta allows you to learn from the world-renowned experts and derive aid subservient to your own views. We encourage profitable employment of time in unleashing your own vision. The dedicated mentoring sessions will help you develop a range of skills, capacities and modes of inquiry that are crucial for your future. To be a part of their artistic culture is definitely the icing on the cake. Our group of experts offer top-notch guidance from years of command, experience and research. They shall help you at every stage of your journey. Our syllabus is a rigorously curated medley of fundamental and advanced courses. Each subject provides you with necessary the tools to establish an unshakeable foundation in the principles and concepts. It gets better. 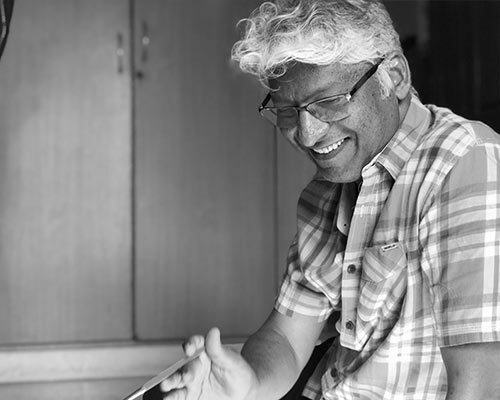 Veteran artist, Shri Milind Mullick formulated the framework and guidelines of our curriculum. Also, the courses enable you to specialize further in areas rooted in fine arts. Our professional art classes are a great way of building a strong backbone in your creative journey. Most of the creative fields like Animation, Graphic Designing, Fashion Designing, Architectural Engineering etc. are rooted in fine arts. Thus, a good foundation in arts will give you a GOLDEN TICKET to all the top universities. Being one of the best fine arts colleges in Bangalore, you will come across all the essential sketching skills to build a hefty foundation. You will be able to build spontaneity and ability to sketch at a quicker pace. Art is a room full of experiments. Experiments lead to unpredictable discoveries. Realize your dreams before losing the zeal. ”Sampratishta roots from the Sanskrit word– saṃpratiṣṭhā which means 'the right foundation'. Thus, we stand by the right foundation in fine arts at Sampratishta. Greetings, from our Team members, advisors and mentors! Milind Mulick, born in a family who were followers of art, at the early age of 5 he began to showcase his powerful art skills. His hereditarily acquired talent was soon refined and finely shaped in the art which was proved while being chosen for the National Talent Scholarship from the Government. Unaware of the fact that he was born to be a renowned artist, he denied the scholarship and majored in engineering. On completion of his studies the artist within him dragged him to the world of art and creativity since then he is a strong admirer and follower of art without any hesitation. Sadhu Aliyur, born in 1963 in the abode of scenic beauty and serenity, Kerala, grew into a man building connections emotionally with colors and brushes. 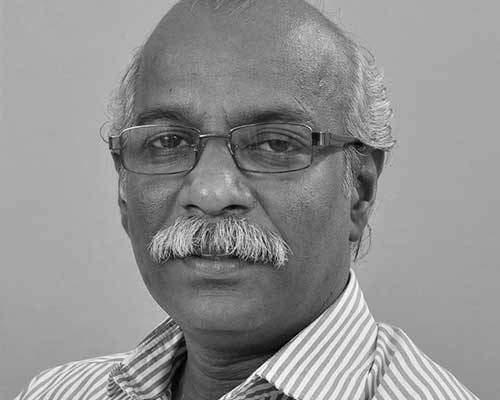 The Kerala school Of Arts gave him the virtuous guidance and opportunity to explore his love for the medium. His fine exemplary skills, Perspicacious observation and well furnished aesthetic Knowledge are the exceptional tools he owns which paved the essence of the scene with few strokes. He is the realistic watercolor artists who draw his inspiration from nature, he is dedicated to the howling wind, to the scorching, to the chirping birds and to the sturdy mountains. 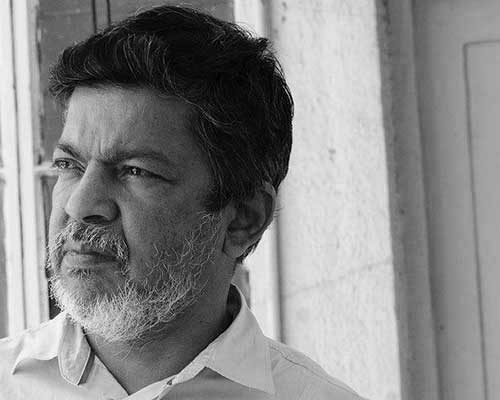 S. ELAYARAJA is one of the fast pacing artists who stunned the audience with the immense skills in oil and inborn talent. He has breathed life into the objects and people transforming them into extraordinary. He is realistic oil painter with splashing emotions and expression into the common people and daily life object with a fair play of light and shadow. 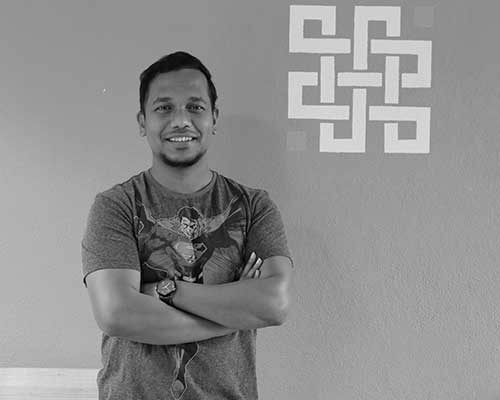 Sani Mani, from Kerala, is a user experience professional and usability practitioner with highest applicational and aesthetic skills. His knowledge and skills are immense and diversified with great experience with various organizations.His artwork is highly influenced by the myriad colors and shades of our country, India. 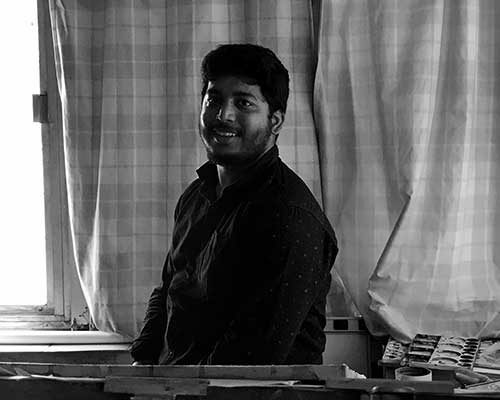 They have been garnering attention and gaining accolades over the years.One of his artworks, based on the ban of Endosulfan in Kerala was circulated widely across Kerala, through the media and web. 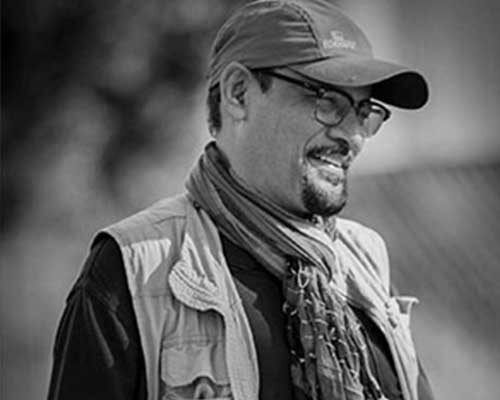 Celebrity artist Bijay Biswaal (52), who hogged the limelight, especially after Prime Minister Narendra Modi made his mention in ‘Mann Ki Baat’, a radio programme hosted by Modi himself, has called it a day from Indian Railways, to take art and painting to the grassroots. Biswaal opted for VRS on March 31 after serving railways for 26 years. Artist Vijay Achrekar, was born in the city of Mumbai in 1967. He is one of the upcoming contemporary artists that our country is proud to have. He has his own style of creating an artwork. His artworks are conventional with a touch of modernization. As viewers, we can see this expression of his creativity with a flow that is unparalleled.He has won numerous awards and accolades for his artworks. 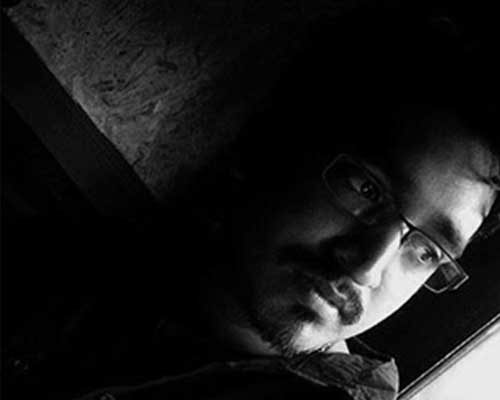 Rohan Baikar is a fine artist and mentor from Mumbai who is a well-known concept artist. His work and experiences are immense that he was chosen as the mentor who can help create a successful and creative pathway towards your fine arts career, with his knowledge and skillful techniques.He currently works for QMAX as a Concept artist that mainly focuses on the gaming industry. His past experiences have been with companies like Zynga, Dhruva Interactive. 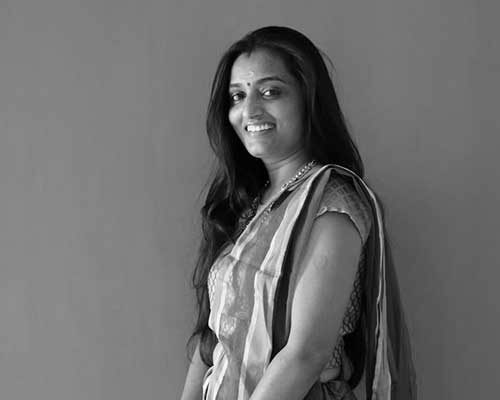 Kavita is a modern-age fine artist who reinterprets the art of designing as well as keeps the traditional artforms alive. She believes that when your dream and passion go hand in hand, success is the end result.She is also the head designer and founder of Hastavarna Studio, that focuses mainly on the revitalization of traditional designs and textiles with a touch of modernization.She also holds the position of head faculty and a mentor at Pencil and Chai – Junior, art sessions specially built for budding artists.